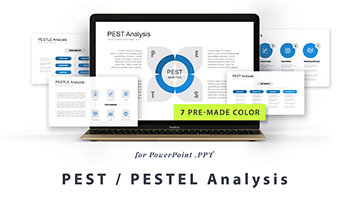 SWOT analysis templates PPT - Download Now! SWOT analysis is a method of assessing the current situation and future business prospects, the main task of which is to determine Threats, Strengths, Opportunities, and Weaknesses. Strengths and weaknesses are the internal business environment: what we have for the time of the analysis conducting. Opportunities and threats are what can or can not happen in the external environment of the business as well as what depends or does not depend on the actions of the entrepreneur or the head of the company. 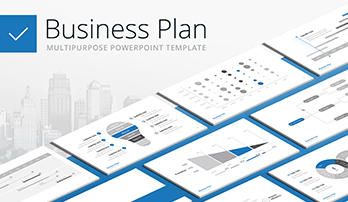 What is the SWOT analysis template ppt for? Using SWOT analysis, a structured description of a specific issue is obtained. On its basis, conclusions are drawn: whether business is developing properly, what risks should be foreseen, what should be done, what are the company’s prospects. What do customers, buyers, partners, intermediaries expect? Strengths and advantages of business that can be used in the strategy. Weaknesses and vulnerabilities of business in competition, which can be the subjects to adjustment. Favorable opportunities for business development. Risks and the most effective actions to protect against them. SWOT analysis is a simple and versatile tool that can be used in business and life. It is used alone or in combination with other marketing tools. Therefore, this type of analysis is widely used in marketing and management. With its help, any company or entrepreneur can effectively plan a strategy for business activities. Analyze competitors, obtain information about them, evaluate and structure it. For this, Porter models, PEST and other marketing tools can be also used. Plan each step to implement the business strategy, its important directions and performers. Conduct competitive research. SWOT-analysis of competitors allows you to determine their strengths and weaknesses. The information obtained will help to build the most effective development strategy. The compositions of the SWOT template. 40 unique premade slides comprise the template. It is available in 7 premade color themes. All 40 slides represent various design and structure modifications of the SWOT slides. In such great variety of possible models, you will definitely find the one you need and like. High quality. To create a perfect presentation, you should be convinced of its quality. Even the most successful professional presentation will be ruined if working with the projectors or other devices, your template loses quality and visible pixels and other defects appear. Our template won’t get worse. Its quality is approved. The slides are printable. The handouts can be printed without worries. Modern design. Design plays a significant role. A correctly chosen design will present you as a professional, impress the listeners and support your image. A modern creative design of these slides are suitable for any kinds of works and meetings. Built-in tools. Edit vector elements in two clicks. Multipurpose slides. The slides are perfect tools for marketing and business. A ready-made easy-to-use template. 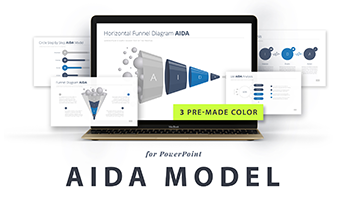 Premade slides help you at work simplifying it and saving time. Using the template, it is possible to work efficiently but quickly and qualitatively; and its ease of use let everyone choose our slides.